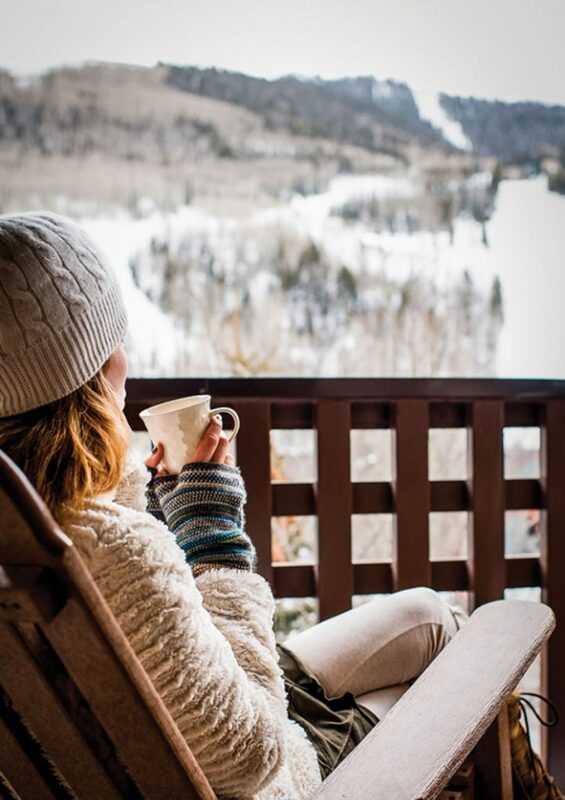 Frigid winter temperatures evoke dread in many, but also bring one of the fondest times of the year for jetsetters…beloved ski season. 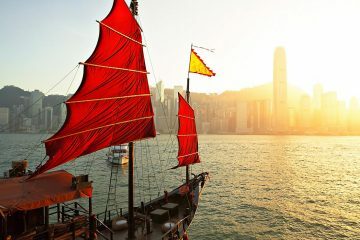 For so many of us, it is a time of immense joy and a leisure-filled escape from our daily lives. But with so many options for quality skiing in North America, which destination separates itself from the pack? Which location rises above the level of merely “good” to deliver an unparalleled synthesis of five-star skiing, amenities, and luxury? There are many great ones, but in our eyes one separates itself from even its most prestigious competitors, and if you can only visit one this winter, we think you should make Telluride it. So grab your skis, fire up the jet, and prepare to embark on your latest unforgettable winter ski adventure. Aspen. Vail. Whistler. 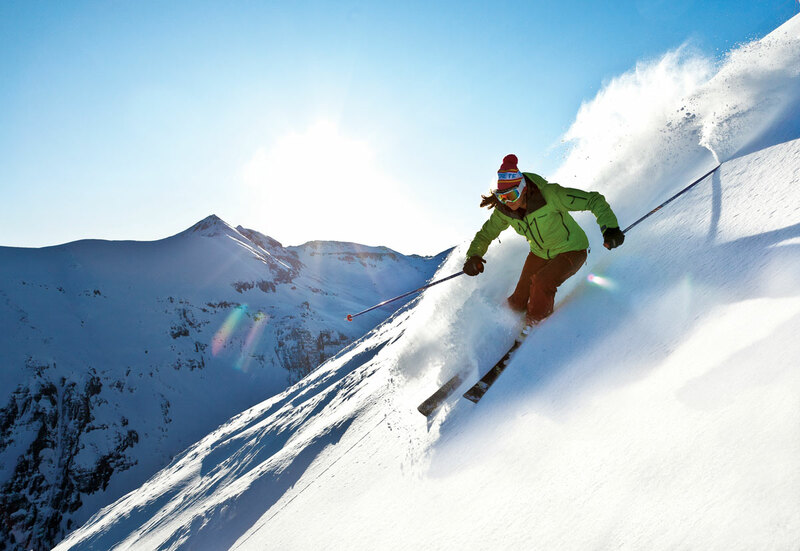 Some North American destinations are world-renowned for their first-rate luxury and incomparable quality of skiing. Telluride is certainly one of them. In fact, to many affluent travelers, the year-round skiing town in Colorado is the premier ski destination in all of the world, eclipsing even those storied names. Located in the southern San Juan Mountains and part of the Rockies, Telluride is home to the highest concentration of 13,000 and 14,000-foot peaks in North America. 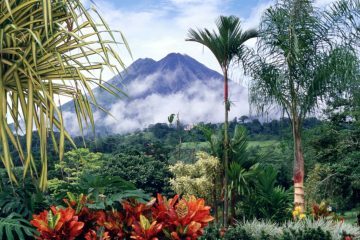 And in 2013, 2014, and 2015, it was voted the number one ski destination in the nation in Conde Nast Traveler‘s annual Reader’s Choice Survey. What exactly makes Telluride so alluring? It begins with the location itself. 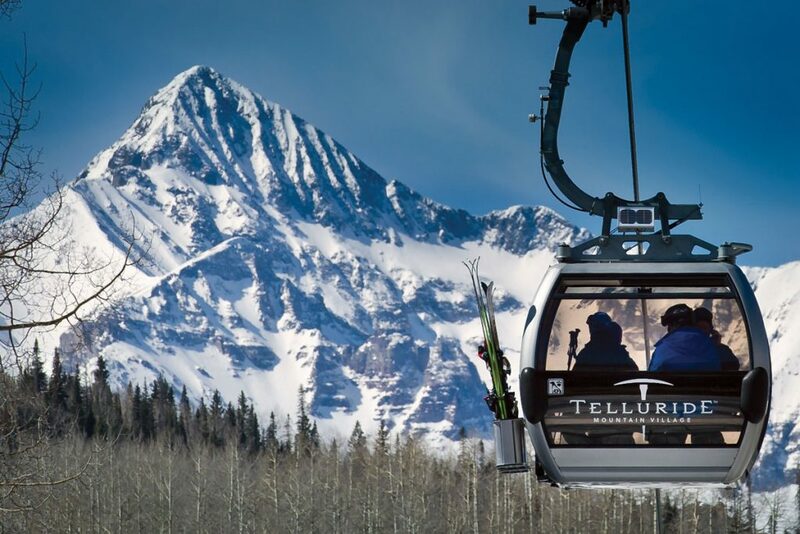 Only directly accessible via private jet and full of stunning natural beauty and colorful Victorian homes, Telluride contains over 2,000 acres of the best skiing known to man. Between the historic town of Telluride itself and the modern alpine community of Mountain Village, Telluride Ski Resort offers something for everyone. Although it’s renowned for its advanced terrain, Telluride is evenly split between beginner and intermediate runs with wide-open slopes with spectacular views, and some of the most challenging in-bounds skiing on the planet. Once the highest elevation commercial airport in the United States, few sensations compare to the thrill of landing at Telluride Regional Airport (TEX). As your jet descends amidst the forested mountains and cliffs, you will feel as though you are discovering the lost city of Atlantis. A former mining town, Telluride feels like a hidden wonder, a quaint escape packed with charm and beauty. Situated inside of an isolated box canyon — and surrounded by — one truly feels tucked away from the modern world when visiting this historic town. And with its population of just 2,325, Telluride is one of the most exclusive and intimate luxury communities out there. 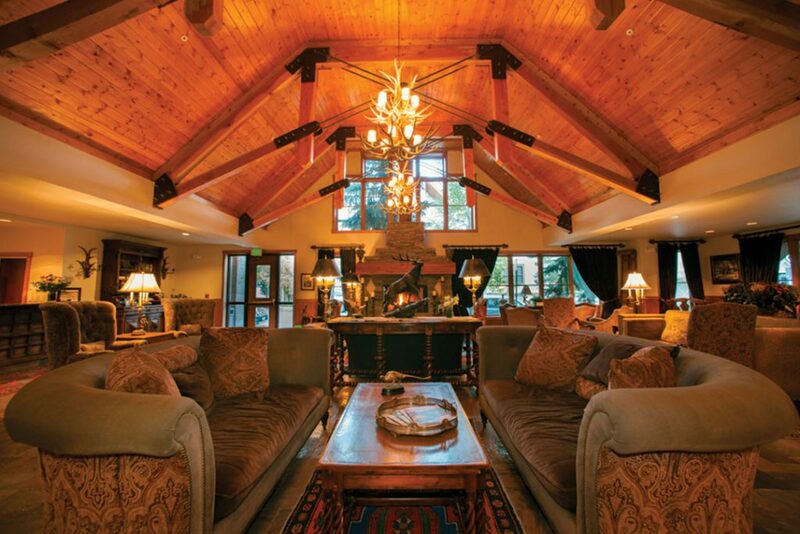 Due to its immense desirability, there aren’t many homes available in Telluride, so naturally, it is not without its fair share of incredible resorts. Perhaps the most famous of all is The Hotel Telluride. 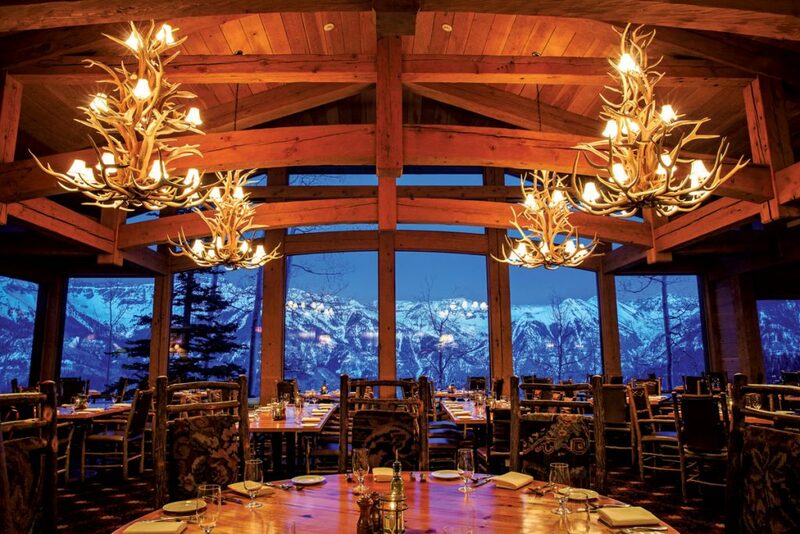 This award-winning, pet-friendly resort is considered one of the top ski resorts in all of the nation and offers nothing but the finest in hospitality, convenience, and accommodations. Nestled right in the heart of historic Telluride, the location is prime for hitting the slopes of America’s premier ski spot. Amenities like complimentary concierge service, gondola shuttle, and ski/snowboard valet and storage only add to its illustrious resume. 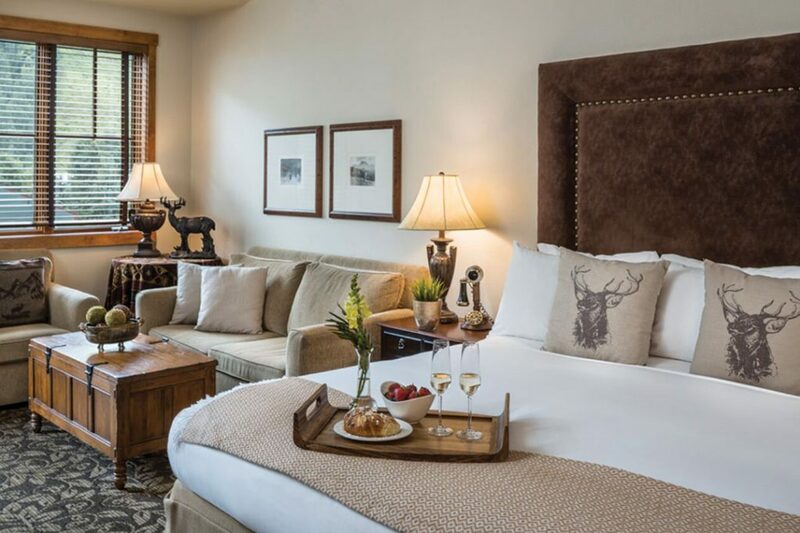 The Hotel Telluride goes way beyond when it comes to caring for its VIPs. They offer complete white glove service, even having your skis waiting for you in the morning. As for accommodations, all of the rooms at the property are befitting of a Jetset reader, but our personal favorite is the 850-square foot Summit Suite. It offers a master bedroom with king size bed, two private balconies, Jacuzzi, and ample living area for unwinding after a long day of intense skiing. And the Hotel’s West End Bistro offers delicious American cuisine featuring fresh, local ingredients. 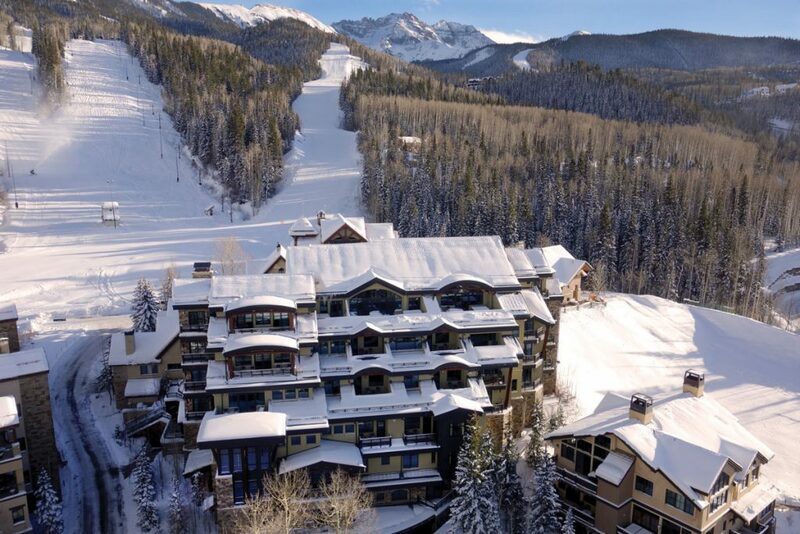 As for other tremendous options in Telluride, the stately Lumière Hotel provides ski-in/ski-out access to the slopes and is located 1.3 miles from the center of Mountain Village. With its striking stone facade and a truly intimate feel, it is a captivating property. 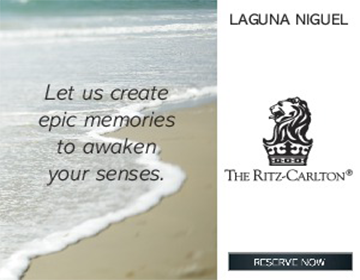 And if your excursion involves the entire family, the Exclusive Five Bedroom Penthouse is a lavish escape. The same can certainly be said about Fairmont Heritage Place, Franz Klammer Lodge. Located right near the gondola, it offers 24-hour concierge service, a sumptuous spa with an outdoor heated pool, hot tubs, and steam room, and all of the sophisticated service one expects to encounter at a Fairmont property. When you are not skiing its unbelievable terrain, there is still much to explore and discover while visiting Telluride. For further excitement, one can go on a unique guided snowmobiling tour of the Alta Lakes ghost town provided by Telluride Outfitters. There you can learn about the history of this historic mountain town. If hiking is your forte, a visit to Bear Creek falls is a once-in-a-lifetime journey into Telluride’s steep box canyon to bear witness to its majestic waterfalls. And then one can always take a stroll down Main Street, popping into the quirky shops that line its historic street. 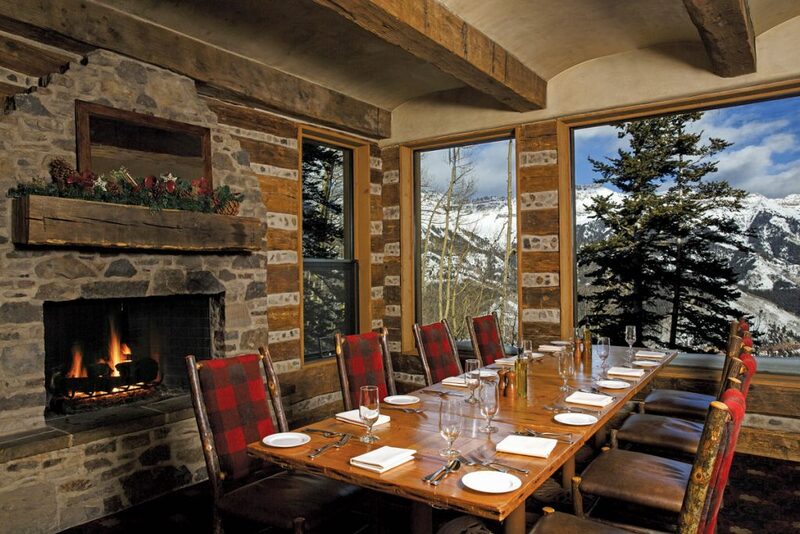 Of course, as soon as you work up an appetite, Telluride will not leave you unsatisfied. There are many excellent places to discover new cuisine in town, but a few truly leave a lasting impression. Allred’s Restaurant is a dining experience one won’t soon forget. Located in a panoramic space at the top of the gondola, it offers elegant atmosphere and sweeping panoramic views of the surrounding mountains. The wine list is so good that Wine Spectator has named it one of the hundred best wine restaurants in America, and the menu features gourmet delights like juniper-bourbon marinated elk strip loin with sauce muscovite and Columbia River king salmon with baby bok choy. Located inside of an elegant refurbished home at the titular address, 221 South Oak offers a menu of French-American dishes prepared with care and craft. The ambiance is spectacular and all dishes — like Rocky Mountain trout with lemon brown butter ravioli — are made and developed entirely in-house. And since its name means “a person who enjoys a social and luxurious lifestyle,” we would probably want to include Bon Vivant regardless, but the stunning views and delectable French cuisine help it earn its mention in Jetset.